Extremely convenient for commuting to the Loop or Ogilvie/Union Stations. Larger floor plans with beautiful skyline views and decent amenities. Good value building with a large outdoor space. 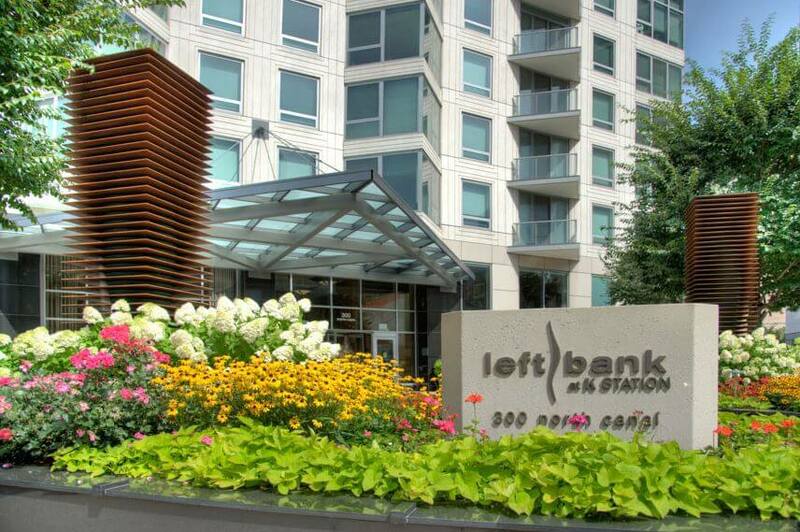 Left Bank at K Station is a new construction (2007), full-amenity rental apartment building in Fulton River District. Expansive and tasty dining options. Awesome gym offerings. Building staff that go above and beyond. Great sundeck scene in the summer. Indoor hot tub is a great during the winter. Lack of nearby coffee shops. Some residents think that rents are expensive and in-unit layouts are sub-optimal. Other residents feel management could be a bit more accommodating. This is an incredible place to live. I would highly recommend it. I checked more than 15 apartment buildings, this place is exactly what I want: - great location (west loop and river north). - breathtaking view from my living room (you will see the chicago river with bridges and Nuveen building - it's like a postcard. - classy people! - very friendly. No swimming pool, only personal pool (jacuzzi).